Pray for Clarke and Khrystya as they follow up with families of kids who participated in the annual kids’ camp. The church has purchased a building giving it more permanence and credibility in the city of Lviv. Pray God will bless their fellowship through this process and that they would employ the gifts of each person. Pray for the 50 college students who attended the summer English camp, that many will be drawn to continue to read the Bible and get to know the truth it shares. 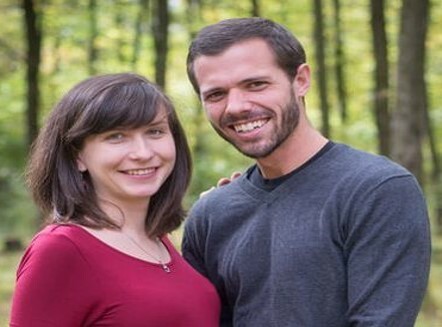 For more info on Clark & Khrystya see page 51 of the prayer guide. The Pohls are settling into their new home in Santiago near the church and within walking distance of the pastor and other church families. Pray for Pastor Egimar and Craig as they begin to lead a new cycle of 2-year intensive discipleship training to equip the church’s leadership. Pray for God’s blessing and direction for the whole family through their youth ministry, worship team, and new evangelistic home groups. 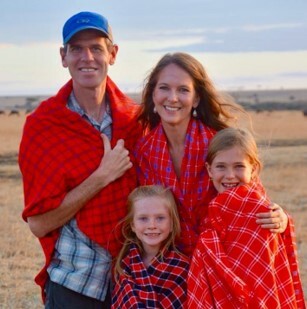 Pray for effective treatments in correcting daughter Aimee’s health issues. For more info on Craig & Stacy see page 69 of the prayer guide. Robby reports that The Philemon Project, now known as GROW, is expanding its work to reach the 4 – 8-year old age group, building on the experience they have in developing the cognitive and social skills of the younger children, all while sharing the love of Christ. In additional to serving approximately 145 children monthly, they work with their parents in the adult mentoring ministry. Pray for Robby, his family, and the dedicated team of workers reaching the most vulnerable in Beirut. For more info on Robby & Joyce see page 7 of the prayer guide. Larry Brown is celebrating 25 years of service at African Bible College in Malawi. Much has happened In those 25 years. He has a 15-year old son who is athletic and taller than him. ABC now has over 300 undergraduates and 30 in graduate programs. They have seen graduates placed in strategic places, penetrating every level of Malawian society. Pray for Larry and for ABC’s ongoing effectiveness in training future Godly leaders for Malawi. 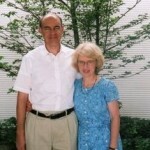 For more info on Larry see page 74 of the prayer guide. Heath and Angela are overjoyed that this is the fifth year of graduating surgeons at Tenwek. Next year Tenwek will graduate its first class of orthopedic surgeons. Pray these residents will grow in qualities of servant leadership, compassion, and humility as they seek to honor Christ as surgeons. Pray for Heath as Program Director to have wisdom in guiding and developing the surgical training. After a long recovery from a hip fracture Angela is back at the hospital with her OB/GYN team. Pray for Angela and her team as they contemplate starting an OB/GYN residency program. For more info on Heath & Angela see page 77 of the prayer guide. Greg L. shares the story of Mohamed, a lay expert in the Koran and a trainer of snipers in the military. He began watching Coptic Christian satellite programs, heard the message of the cross, and bowed the knee to Jesus. He then convinced 24 members of his immediate and extended family to do the same. Following liberation of his neighborhood, he was imprisoned because of his loyalty to Jesus. Greg asks prayer for this family and the scattered 10 or so believers there to remain faithful in the face of intense persecution. 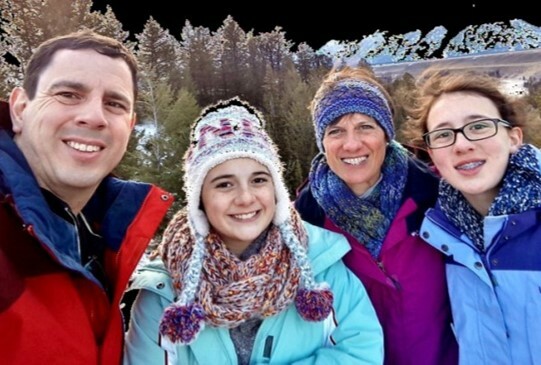 To Paul and Violette Bridgman’s delight weekly prayer has begun again at Sakuragaoka Church and church attendance is staying the same with the new pastor. Pray for Mrs. Osaka, the pastor’ wife who is Korean and starting an Evangelistic Korean language class, and for Violette to reach more of their neighbors. Paul had a set-back in trying to get off his pain medication, pray he can slowly reduce the dosage in the coming months. Judy Mbugua is thankful for HSF’s children’s ministry, and for Lydia, a member of the Fadhili women’s program, for her ministry of visitation to the sick in the hospital and home. The Homecare Retreat Center now has a bed capacity of 44 with its own water supply and they are offering it for prayer groups, conferences, weddings, and family gatherings. Pray God will be honored and many will come to a saving faith through the ministry of Homecare Spiritual Fellowship. Bob and Janie ask prayer that the refugee centers in Greece can meet the physical and spiritual needs with the new influx of refugees arriving there. Amir continues to give leadership to the “church on the road”, a mobile platform for church planting at various refugee centers in Germany. Pray for strength and wisdom in where to go and give thanks for provision of logistical equipment. 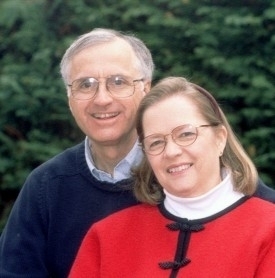 For more info on Bob & Janie see page 54 of the prayer guide. John M asks prayer for wisdom as they find a new role for Ezekiel, the national church planter who contracted a severe form of malaria and can no longer make trips to the island. Pray for guidance as John and Joe interview potential national church planters to join the team. Praise they are now working with three community co-op groups and in negotiations with a fourth. Pray for boldness and sensitivity in sharing their faith, and for wisdom as the team navigates areas of conflict among villagers. For more info on John see page 33 of the prayer guide.